Brookvale is the coastal suburb that on first inspection appears to be the land of well-built tradies drinking green juice! Happy to offer their wares to these unique inhabitants is Fuel Espresso. It’s located just off of busy Pittwater Road yet it’s luckily a tranquil spot. 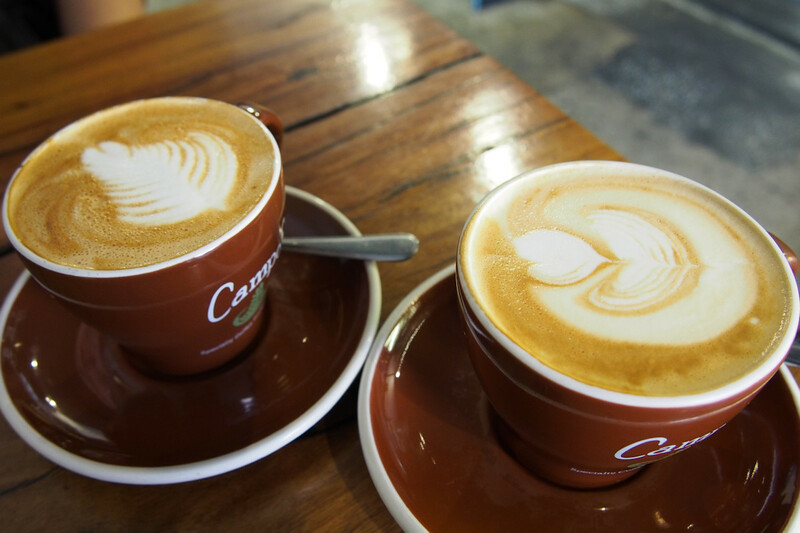 Inside out or out, you’re guaranteed a typical Sydney café vibe with friendly staff and a furiously fast kitchen that turns out a vast array of menu options. Right out of the blocks, our Campos coffees ($3.60) delivered great flavour and were presented professionally. Kudos to the barista! Whatever your coffee peculiarity, they will indulge it here from decaf to soy milk to flavour shots and affogato ($5). Ovvio teas are available for $3.90. Smoothies ($7.50) come as banana, mixed berry or mango. You can also ask for a combination for $8. The consistency of my banana version was great and the proportions of ingredients were good except for the relatively large amount of honey. Simply lessen the honey and this smoothie would have been a real winner. Freshly squeezed fruit & vegetable juices ($7.50) are available in mixes such as apple, pineapple & mint and apple, celery, mint, cucumber & baby spinach. 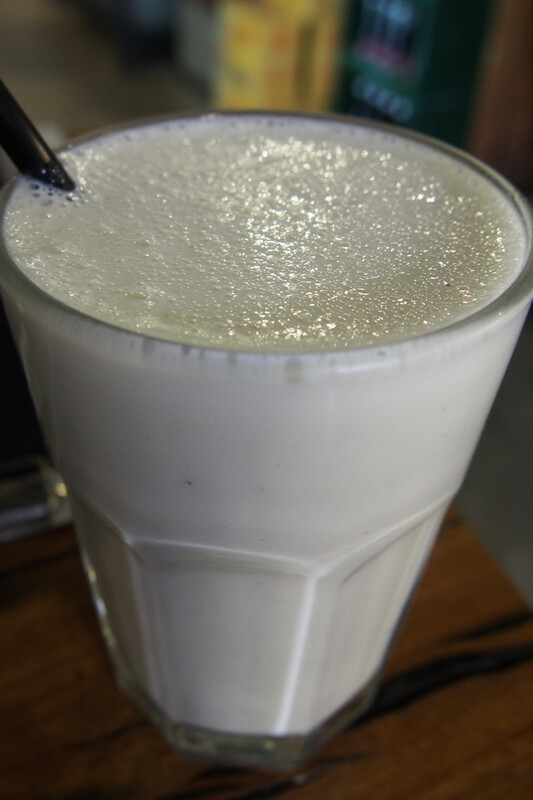 There is also cold pressed juice ($5.50 to $8) and milkshakes ($6) and thickshakes ($7) in a variety of flavours. 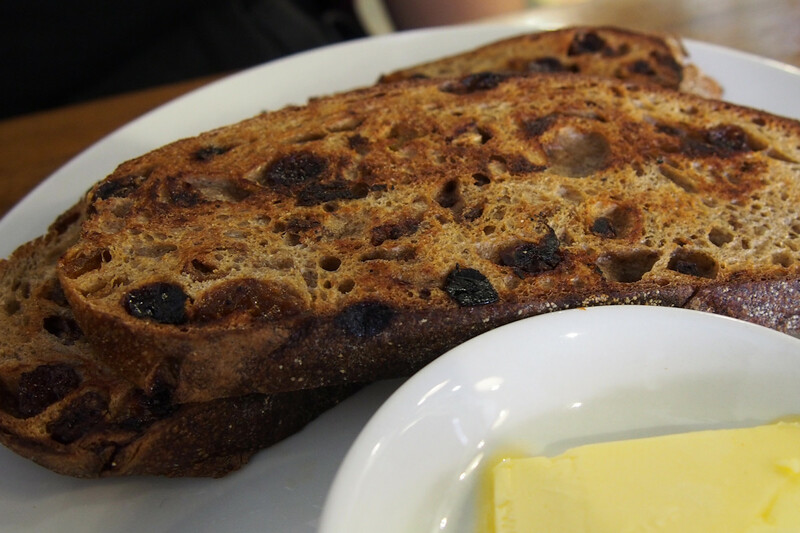 I apologise for the lack of imagination that my friend showed when ordering the fruit spelt toast with butter ($7). However if fruit toast is what gets you up in the morning, then there are certainly worse places to find it! Also on the list is spelt banana bread ($7), sourdough/wholemeal/soy & linseed with jam, Vegemite, tahini & honey, labenah & zaatar or peanut butter ($7) or toasted bagel with cream cheese ($7). I ordered the eggs ($11) which can be poached, scrambled or fried and added sides of bacon ($3), avocado ($3.50) and spinach ($3). Each ingredient was excellently presented and well prepared. The eggs were creamy and in great abundance! 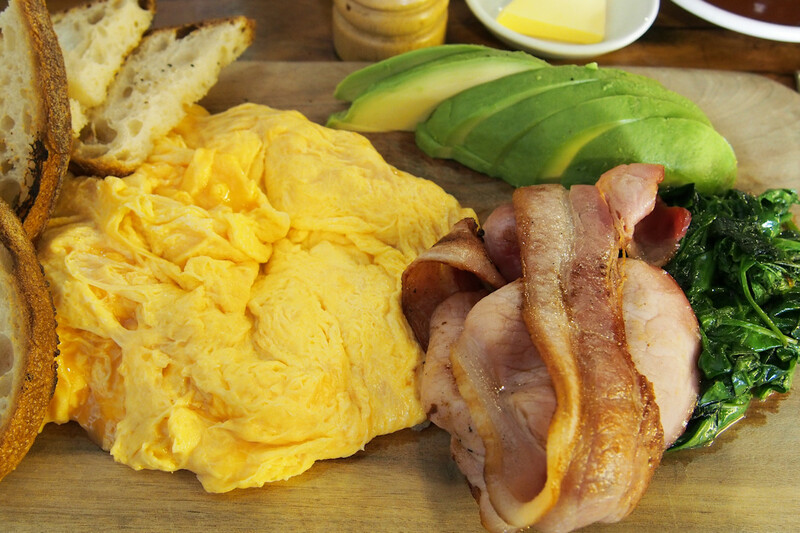 It’s a very egg-laden menu at Fuel with other items including scrambled eggs with smoked salmon and chives ($15.50), spicy tuna, celery and onion omelette ($15.50) and shakshuka ($16). Bagels are on offer with fillings such as smoked ham, cheese & tomato ($9), fetta with roasted eggplant, baby spinach and tomato ($10.50) and poached chicken with roasted zucchini, cheese, rocket, mayo and zaatar ($10.50) to name a few. The counter contains a huge amount of excellent sandwiches and baked goods so whether you’re looking to dine in or for takeaway, there’s a huge amount of choice. Sufficed to say, if you’re on the northern beaches, I can definitely recommend a visit to Fuel Espresso. 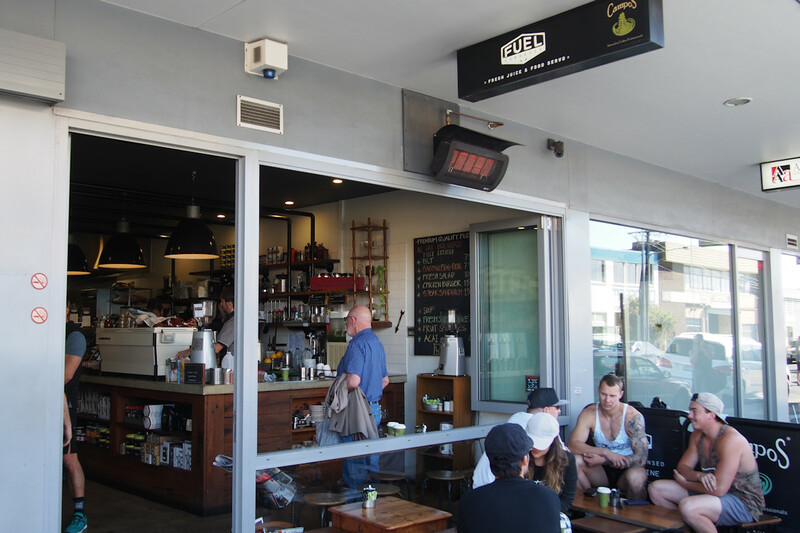 This entry was posted in Sydney - North Shore and tagged Disabled access, Dog friendly, Gluten free options, Outdoor seating, Parking close by, Reasonable prices. Bookmark the permalink.